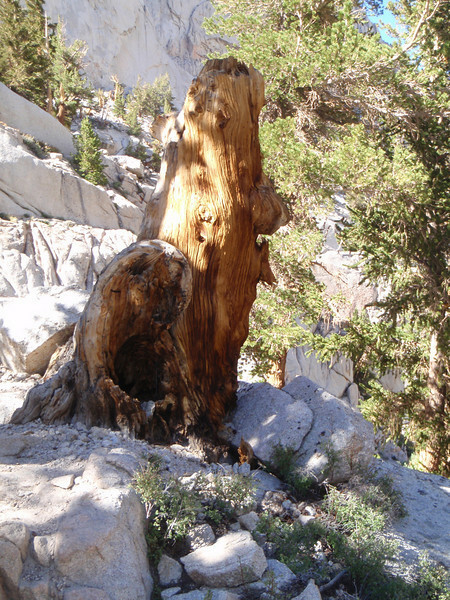 Mount Whitney hike - 6/27-28 2008. Started 5p on fri, 6/27. Camped at Outpost Camp (10000 ft). Sat, 6/28, started at 6a for summit. Reached the summit at 11:35a, back at Outpost Camp at 4:40p to pick up the extra stuff. Out of the trail at 7:16p. Whitney Portal (8600 ft), the starting point, all the way upto 12500 ft or so is serious Mosquito Zone. Mt. Whitney - a bear tree!